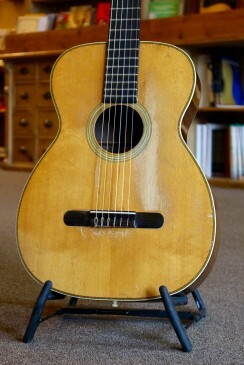 Vintage 1939 Martin 00-28G nylon string guitar. 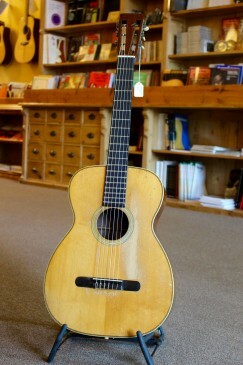 While we don’t really consider these old Martin nylon string guitars “classical guitars” in the European tradition, this guitar has a great sound for any style of fingerstyle playing (it doesn’t sound bad with a flatpick either.) 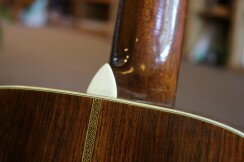 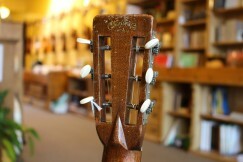 Old, old spruce and Brazilian rosewood. 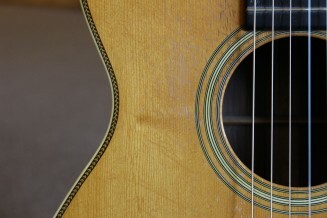 Some of these guitars get converted to steel string OOs but this one has plenty of charm and musicality just as it is.